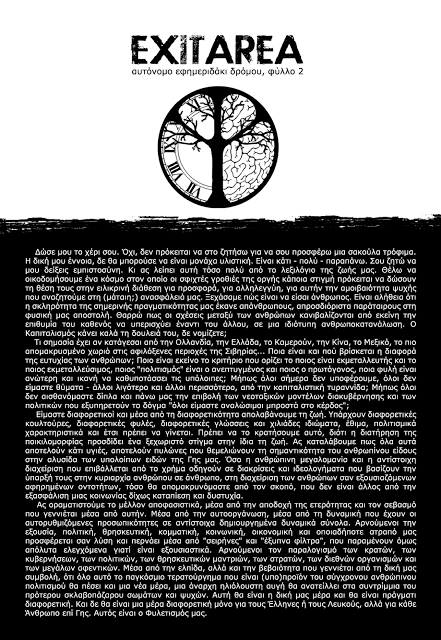 Issue #2 of the Greek National-Anarchist zine, EXIT AREA, is now available to download. As the group explains, the publication itself amounts to "four pages of politics, social and economical matters and other matters concerning daily life. The purpose of this edition is for copying, printing and then spreading throughout the country in bus stations, on the metro, in bars and coffee houses, schools and universities, etc." 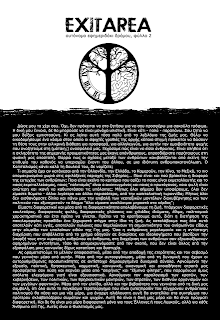 See also Troy Southgate's interview in the Greek National-Anarchist magazine, located here.